During some of these gigs (where location and access permits) I will have fairly limited amounts of T-Shirts for sale. 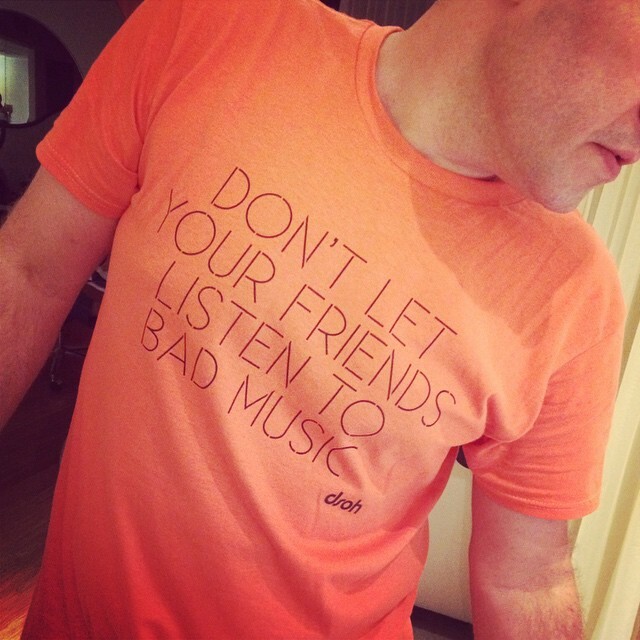 Besides the DSOH logo shirts, my wife Kathy designed brand new "Don't Let Your Friends Listen To Bad Music" T-Shirts. If you can't make it to any of the gigs, no worries, once I return from my SA travel, I will add the shirts to the Deeper Shades online store and you can order them from the comfort of your home.